Which would you prefer: a roof that lasts for 15 years or a roof that lasts for 30 years? That’s a no-brainer right? Of course you’d prefer to make your roof last longer. The good news is that a knowledgeable and caring contractor paired with a diligent homeowner can actually achieve these results! The bad news is that if you land yourself a fly by night contractor whose only concern is getting your money and running, you can actually shorten the life of your roof with a bad installation. As we have written about previously, you can also save thousands of dollars by making the right decision on whether you need to repair or replace your roof. So what are the steps that the contractor/homeowner team can take to make your roof last longer and give you more bang for your buck? The first step is choosing the right products. We believe unequivocally that GAF makes the best asphalt roofing products on the market, so we always start there. We are certainly willing to work with other products in order to meet a budget, but our goal is to give you the best roof possible. Ask other contractors in your area and you will hear GAF’s name come back more often than not. Believe it or not, wind and rain are NOT the leading causes of deterioration anymore. The best way to make your roof last longer is to avoid thermal shock. Thermal shock happens when you subject a set of materials to vast temperature swings. What that means is that it is imperative to maintain the temperature of your roof in as stable a condition as possible and not allow the temperature to wildly fluctuate. This is why proper attic ventilation (which wasn’t mandated by the building code until the 80’s) and insulation are one of the most overlooked components in making your roof last longer. Building Science calls it “one of the most underappreciated building assemblies that we have”. As far as the homeowners responsibilities, regular property maintenance is also a critical step. Cleaning the eavestrough, unclogging drains, removing debris and compostables from the roof, trimming surrounding trees and having any issues repaired immediately are all steps you can take to improve the life expectancy of your roof! You can hire all this out or do it yourself. The pay-off of spending a few hundred dollars in the short term to save thousands in the long term can be huge. 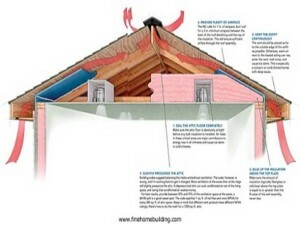 To summarize, there are great financial and environmental benefits to extending the life of your roof. 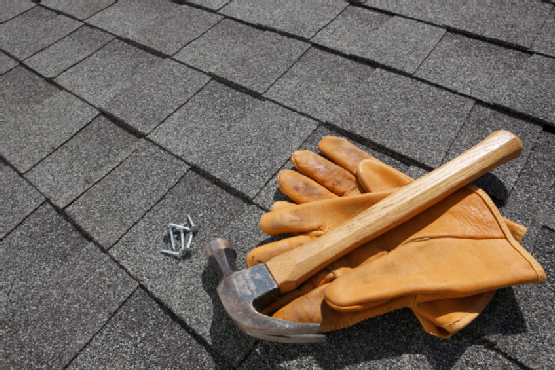 But it takes knowledge, expertise and vigilance from the contractor/homeowner team to get the most out of a new roof!